- Join us for Eldorado Games Annual Fall Classic Pinball Tournament on Saturday, November 12th, 2016. -115 W. Dallas St. Mt Vernon, MO. - Doors/ Registration open at 10am, and will try promptly to start at 11.- Entry is $15, NO coin drop, machines on free play. 100% Cash payback (50%, 34%, 16%) for top three. 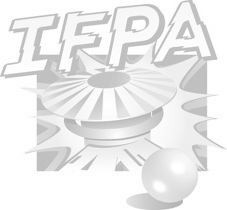 This event is IFPA sanctioned and WPPR points will be awarded to all participants. Trophy's provided by me. And FREE lunch of Taco/ Chili Bar provided by John's wife Kris.